also cut the chillies vertically and add to it, add few water, turmeric powder and then close the cooker let it boil well. once the dal is done. In a vessel add coconut oil let it heat well. when its done add the Dal mixture add salt to it and let it cook keep the vessel covered. Looks interesting... will surely try it. 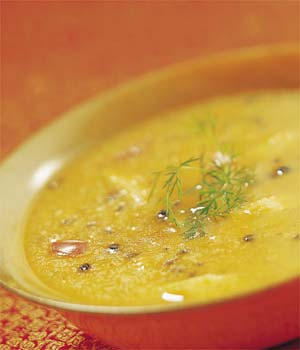 Wow!.Easy and tasty dal that can be prepared quickly.U have added all the needful ingredients for a south-indian Dal curry.Nice recipe Susan!.